Ed Chamberlin will lead the ITV Racing Team when they make their appearance at Kelso Racecourse this Saturday, 23rd March. Together with regular pundits Mick Fitzgerald, Luke Harvey and Sally Ann Grassick, plus the commentator Richard Hoiles, Chamberlin will present four races live from Kelso including the £50,000 Liz Adam Memorial Handicap Steeplechase. The feature race of the day has proved a useful stepping stone, in recent years, for emerging equine talent. Lake View Lad, who was third last year, is a leading fancy for next month's Grand National for Scottish trainer Nick Alexander, while the 2015 winner The Last Samuri went on to finish runner-up in the following year's Aintree marathon. While the likely top-weight is the Paul Nicholls-trained Adrien Du Pont, a winner at Kempton’s Christmas Meeting, much of the interest will centre around dual Kelso winner Blue Flight. Trained by Nigel Twiston-Davies and owned by Dundee United football club director Jimmy Fyffe, the huge-framed novice chaser is progressing rapidly and looks like a star in the making. The first race is the £20,000 EBF / TBA Mares Novices Steeplechase which has attracted eleven entries including the five-time Kelso winner Alizee De Janeiro and the classy southern raider Dalila Du Seuil. Trained by Lucinda Russell, Alizee De Janeiro has already won three races at Kelso this season and is likely to head off to stud later in the year. Any progeny will be expected to become hot favourites at the Borders track! The £40,000 Bernhard Handicap Hurdle, over 2 miles, is the second race on the programme and while there’ll be no repeat victory for Keyboard Gangster, the Hawick trainer winner from last year, although there’ll be local support for the James Ewart trained Aristo du Plessis, the Pauline Robson trained Martila and Sandy Thomson’s Saint Leo. The ITV programme will be completed by the £40,000 Paxtons Exclusively Kvernland Handicap Hurdle Race. Trainer Sandy Thomson could hold the key once again, as the Greenlaw trainer is triple-handed with Arthurs Secret, Seemorelights and Buckled. Last year's second Donna's Diamond could be in the line-up once again for Chris Grant in the black and white stripe colours of North East owner David Armstrong. The fifth race on the card, which will be run immediately after ITV go off-air, is the Ashleybank Investments Reg and Betty Tweedie Handicap Chase. Named to commemorate the influential couple, both of whom became Patrons to the racecourse in their own right, the race offers Caraline an opportunity for back-to-back wins after her strike for Middleham trainer Micky Hammond last year. Rebecca Menzies has her horses in great form and she has already booked Conor O'Farrell for recent Catterick winner Halcyon Days. 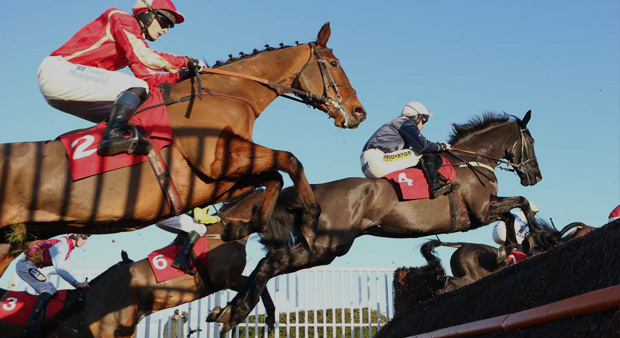 Kelso Racecourse stages the most valuable fixture of the weekend on Saturday 2nd March, when the £60,000 Belhaven Brewery Premier Chase has attracted a quality field including all three of Scotland's contenders for the 2019 Grand National - 2017 hero One For Arthur, Captain Redbeard and Lake View Lad. Captain Redbeard's Selkirk trainer Stuart Coltherd said: "He's in tip-top form and it's a good race on our doorstep. He beat Definitly Red nicely at Kelso last time and the plan is to go at his stage." Nick Alexander, trainer of Lake View Lad, said: "It's really exciting to have a Grand National horse in the yard. We will make a decision nearer the time as he is ground dependant and a better horse when the going is soft." One For Arthur is trained by Lucinda Russell who said: "Unlike on his way to winning the National, nothing has gone smoothly this time. He schooled on Saturday morning and we are pleased with him but he is also ground dependent and it wouldn’t be the worst thing if he went to Aintree without another run." The home team could face some stiff opposition from the South including the Paul Nicholls-trained Black Corton, a prolific winner normally ridden by Bryony Frost, who holds a Cheltenham Gold Cup and Grand National entry. The top-rated entry is Nicky Henderson's Terrefort, twice a Grade 1 winner last season, who has a BHA mark of 159. Paul Nicholls could have a strong say in the feature race of the day, the £50,000 Edinburgh Gin Premier Hurdle. He’s three handed at the entry-stage with smart juvenile Pic D'Orhy, Getaway Trump and Southfield Stone. Nicholls won the event in 2016 with Le Prezien. Five-time champion jumps trainer Nicky Henderson could saddle Dream Du Grand Val, a winner on Kelso's Morebattle Hurdle card recently. Aye Right represents Jedburgh trainer Harriet Graham while Elvis Mail could run for the Kinneston stable Nick Alexander. The second race on the programme, a 2-mile Novices Steeplechase, is named for Nick Alexander’s late father Cyril and was won by the stable’s Clan Legend when the race was last run in 2017. There’ll be no Kinneston runner in this year’s renewal, but neighbouring Lucinda Russell could run dual Kelso winner Alizee De Janeiro. Russell could have numerous chances on the valuable card, which carries £163,000 of prize money, including the J. P McManus-owned Grand Morning in the final race of the day, a £12,000 handicap hurdle. Twice a late withdrawal recently, this could be the ideal opening for a horse who completed a hat-trick last spring. Nicky Richards' Glittering Love has a more recent winning sequence as he struck for the third successive time at Ayr in early February. The gates open at 11.30am on Saturday and the first race is due off at 1.40pm. Top Quality at Kelso’s Morebattle Hurdle Day. The British Horseracing Authority allowed racing to resume, following a 6 day break after an equine influenza outbreak, just in time for Morebattle Hurdle Day at Kelso. While many racing stables were not quite cleared to have runners in time, leading to smaller fields than usual, the quality of the horses on display was not in question. Captain Redbeard, sent off at 9/2, upset sole rival and red hot favourite Definitely Red in the £25,000 Malcolm Jefferson Memorial Chase at Kelso on Thursday. Having sat in behind the front-running 1/6 favourite for much of the race, Sam Coltherd kicked for home aboard Captain Redbeard from the second last and the pair saw off the North’s main hope for the Cheltenham Gold Cup by two lengths. Winning Selkirk-based trainer Stuart Coltherd said: “That was the plan and Sam rode him to perfection sitting on the tail of Danny Cook on the favourite. We didn’t want the race to develop into a battle and Captain Redbeard has quite a lot of speed for a staying chaser. Despite the upset, Definitely Red looks likely to go to Cheltenham next month where his stamina is likely to deployed to better effect. In the meantime, Brian Ellison and owners Julie and Phil Martin gained some compensation when Bordeaux Bill squeaked home at 4/1 in the Brewin Dolphin Handicap Hurdle, a head in front of the Jedburgh trained odds-on favourite Aye Right. There was a victory for Jedburgh based jockey Callum Bewley aboard Blue Flight in the Timeform Novices Steeplechase. The 2/1 favourite is trained by Nigel Twiston-Davies and will be a name for the not-book when contesting the top staying chases in a year or two. Nicky Henderson's We Have A Dream, sent off a 1/4 and for some a live contender for the Champion Hurdle, was an emphatic six length winner of the £30,000 Timeform Morebattle Hurdle. Henderson was completing a short-priced double as the Lambourn trainer took the opening novices’ hurdle with Nico De Boinville-ridden Dream Du Grand Val. The next race-meeting at Kelso, on Saturday 2nd March, features the £60,000 Premier Chase and the £50 Premier Hurdle Race. The British Horseracing Authority has given the go ahead for racing to go ahead, following a six day shut-down due to Equine Influenza, just in time for Morebattle Hurdle Day at Kelso Racecourse. The seven race programme has attracted a bumper entry of 180 horses including Definitely Red in the Malcolm Jefferson Memorial Steeplechase. Trained by Brian Ellison, Definitely Red is unbeaten in the highest company this season and is being targeted at the Cheltenham Gold Cup next month. Run in previous years to commemorate Ivan Straker, the £25,000 Malcolm Jefferson Memorial Chase was won last year by Lucinda Russell’s Big River, owned by the Two Black Labs whose distinctive colours include a silhouette of a black Labrador. Big River is entered once again. Ruth Jefferson, who enjoyed her first winner as a trainer with Cyrus Darius on this card last year, plans to run the promising bumper-horse Black Ebony in the final race of the day, the Racing TV Standard Open National Hunt Flat Race. Other horses that will be using Thursday’s fixture as a springboard to the Cheltenham Festival include We Have A Dream and Pacha Du Polder. Kelso Racecourse will be honouring Malcolm Jefferson, the Cheltenham Festival winning trainer, by naming a race for him on Morebattle Hurdle Day, Thursday 14th February. Jefferson, who died just over a year ago, is sadly missed by the northern racing fraternity. His four Cheltenham Festival wins came with Dato Star, Tindari, Cape Tribulation and Attaglance. Notable successes at Kelso Racecourse included the track’s two most prestigious hurdle prizes in 2017. He took the Premier Novices Hurdle with Mount Mews and the Timeform Morebattle Hurdle Race with Cyrus Darius – the horse which provided daughter Ruth with her first winner, last year, in the same race. Run in previous years as the Ivan Straker Memorial Chase, the £25,000 steeplechase was won last year by Lucinda Russell’s Big River, owned by the Two Black Labs whose distinctive colours include a silhouette of a black Labrador. Big River is being aimed at the race once again. The feature race of the day is the £30,000 Timeform Morebattle Hurdle. A trial for the Champion Hurdle at Cheltenham, the race was first staged in 1988 and was made popular by Jinxy Jack who gained four wins in-a-row for the late Gordon Richards between 1990 and 1993. In 2010 Zaynar, at 168 one of the highest rated horses ever to run at Kelso, suffered a major shock when beaten at odds of 1/14 at the hands of Quwetwo. Brian Hughes has become the jockey to follow, as he’s won four of the last six renewals including the last two with Cyrus Darius. In 2016 Top Notch was successful for Nicky Henderson and the five-time champion jumps trainer is considering running We Have A Dream who runs in the same green colours of Simon Munir and Isaac Souede. The French-bred gelding is being aimed at the Champion Hurdle and was a Grade 1 winner at Aintree's Grand National Festival last spring. The first race gets underway at 1.25pm and gates will open at 11.30am. The team behind Kelso Races will be hoping to round-off the year in style on Saturday, 29th December, when the Borders track hosts its final fixture of 2018 with a seven-race programme featuring the £20,000 Children’s Immunology Trust Novices Steeplechase. Two years ago the feature race was won by the Irish raider Angus Milan, trained by Noel Kelly, in front of a massive crowd. Last year’s race was lost to the weather, but the forecast looks much more favourable this time around with positive night time temperatures and sunny spells predicted for Saturday afternoon. Debs Thomson, one of the two golf-widows that own Grand National winner One For Arthur, supports the feature race in order to promote the work of the Children’s Immunology Trust. The charity, which is helping to set up an immunology base at the Royal Hospital for Sick Children in Edinburgh and fund research at the children’s bone marrow transplant unit in Newcastle, will be raising funds on the raceday. Despite losing two fixtures when the ‘Beast from the East’ brought snow to the region in March, 2018 has been a record breaking year for Kelso Racecourse. The total amount of prize money offered exceeded £1,250,000 – more than ever before. The course now stages the highest quality jumps programme of any track in Scotland and makes the eighth best contribution to prize money of all the jumps courses in Britain. In April the ITV racing team broadcast live from the racecourse for the first time in 40 years, when the big race winners included Keyboard Gangster from the Hawick based yard of Donald Whillans. In June worked commenced on the new Parade Ring and Winners Enclosure which was used for the first time amid winds which gusted up to 70 mph at the first fixture of the 2018/19 season in September. There was more success for local trainers when Sandy Thomson won the £50,000 Persimmon Homes Scottish Borders National with Harry The Viking earlier this month. Entries for Saturday’s races will be made on Wednesday, slightly later than usual due to the Christmas holiday. The first of the seven races is due off at 11.45pm, with the gates opening at 10.00am. There will be musical entertainment after racing in the Paddock-side marquee. While there will be plenty of tickets available at the entrance, racegoers can save money by booking online before 2pm on Thursday 27th December – safe in the knowledge that if there were any weather mishaps like last year’s, with no racing taking place, all admission monies would be refunded automatically. Advance tickets are £15, the on-the-day price is £20, while all accompanied children aged 17 and under are admitted free of charge. Preparations are well underway for Kelso’s richest race of the Autumn, the £50,000 Persimmon Homes Scottish Borders National, which will be staged on Sunday 9th December. In order to provide fresh ground for the big race, the steeplechase fences have been moved sideways during the four week gap since the last race-meeting. The obstacles have been refurbished with fresh birch and the running-rail realigned. Racehorse owner Jim Beaumont is hoping to lift the trophy for the fourth time in succession, having been successful with Neptune Equester in 2014 and 2015, as well as Harry The Viking in 2016. Beaumont will be relying once again on Harry The Viking who is trained locally by Sandy Thomson. £125,000 of prize money will be on offer across the seven race programme, which includes the £30,000 Scotty Brand Veterans Chase and the £15,000 Paris Pike Novices Chase. The two races attract quality horses at opposite ends of their careers and are therefore particularly popular events for Kelso’s enthusiastic racegoers. The first race is due off at 12.00 noon and the gates will be open from 10.00am. A huge number of entries have been received for Kelso’s Halloween Fixture on Saturday 27th October. Recent rain and autumnal weather has helped racehorse trainers to hone the fitness of the horses in their charge, while the ground at Kelso is officially described as Good. Last year’s programme featured the Paul Nicholls trained As De Mee, owned by Dame Judy Dench - a previous winner over Aintree’s Grand National fences. The Lucinda Russell trained Big River won the novice chase on the programme and could be destined for Aintree glory himself – so the races are well worth watching and the winners noting. This year Lucinda Russell relies upon Arizona Bound in the Clifford & Martin Firth Memorial Novice’s Chase - already a winner over fences who carries the colours of Kelso Lowflyers syndicate, a group of annual members of the racecourse – as well as Chanceiton owned by her father Peter. An interesting raider, and chasing debutante from the south, could be Mahler's First from the Devon yard of Victor Dartnall. The Ian Anderson Memorial Maiden Hurdle Race divided into two races last season and Rose Dobbin, who landed the second division with Some Reign, bids for more success with Definite Wisdom and The Hollow Chap. Inverurie-based Jackie Stephen is Britain's most northerly trainer and she is double-handed with Captain Kurt and Starozov. All the top stables are represented in the feature race of the day, the 3-mile EDF Handicap Steeplechase, including Jonjo O'Neill, Nigel Twiston-Davies, Kim Bailey, David Pipe, Donald McCain and Nicky Richards. The highest rated horse on parade is Fergal O'Brien-trained Perfect Candidate, an early casualty in last season's Grand National who has a BHA mark of 152. Michael Scudamore's Mysteree was the winner of the 2017 Eider Chase at Newcastle while Tom Lacey-trained Thomas Partick was successful in Grade 3 company at Aintree last April. Civil Unrest and Ailizee De Janeiro, second and third in the Sir Maxwell Harper Gow Handicap Hurdle Race, are among the massive 28 entries for the 2018 renewal. Dual Kelso bumper winner Tokaramore, bred in Berwickshire by Ailie Tullie, puts her unbeaten course record on the line as she samples her first taste of a handicap hurdle. Nick Alexander has his three-time course winner Benny's Secret entered along with stablemate Jet Master for the Carnacrack Handicap Hurdle at 4.40pm. Irish trainer John McConnell, who saddled a double at Kelso's opening meeting of the autumn, has pencilled in his two-time winning hurdler Roi De Dubai. Ascot De Bruyere, trained by James Ewart, was the horse that supplied now-retired Brian Harding with his final winner when successful at Kelso in March 2017. He’s an entry in the final race of the day at 5.15pm. Wyfield Rose, owned by borders-based John and Liz Elliot and trained by Dianne Sayer, has already scored this Autumn when making all at Sedgefield early last month. Irish singer/songwriter, Craig McMorrow, a competitor on The Voice Ireland in 2014, will be providing the post racing entertainment in the Pavilion Marquee followed by a DJ. The gates open at 12.00 noon and the first race is due off at 1.50pm. The fifteenth running of the Annual Border Principals Race, at Kelso Racecourse, takes place on Sunday 7th October. The four-furlong dash, staged for the first time in 2004, features fourteen riders (listed below) – each of whom has represented their town this year during the Ridings. The race celebrates the broad equestrian culture that exists throughout the Scottish Borders and provides the focal point for one of the largest social gatherings of the Border Ridings Season. As usual, horses will be allocated at random and the race will take place at 1.15pm before the National Hunt races commence. The feature race of the day is the £40,000 NSPCC School Service Handicap Steeplechase. The 2 mile race is sponsored by Ray and Anita Green, on behalf of the charity, and they have a likely runner in the shape of Upsilon Bleu, trained by the Otterburn based Pauline Robson. The race represents one of the first significant skirmishes of the core National Hunt season and has become a traditional starting point for the Grade 1 winning chaser Simply Ned, who has won the race twice and been second twice in the last four renewals. He’ll re-oppose Theflyingportrait, who won the race in 2016, the David Pipe trained Vaniteux, Vosne Romanee and the locally owned Mixboy. The first race, the Radio Borders Handicap Hurdle, also features the first and second from last year among a strong field of seventeen entries. Newstart, who won the race last season for Brian Ellison is now trained by Katie Scott, while Martila is another runner for the Pauline Robson / Ray Green combination. Donald McCain could hold the key to the 2 mile novice hurdle race as he’s double handed at the entry stage with the smart pair: Val Mome and Noah And The Ark. Hitman Fred could be an interesting runner for Rose Dobbin. Harriet Graham’s Aye Right landed a nice gamble at the opening meeting of the season and could reappear in the Alistair Rutherford’s Retirement Novices Hurdle. The race has been named for Alistair, who retires from Andersons Butchers this year and will present the mementoes to the winning connections after the race. The Queens Head Hotel, located just off the square in Kelso, is a popular staging post for trainers and stable staff who are staying over the night before a raceday and owner Mark Hay has become a regular sponsor at the local track. The Queens Head Novices Handicap Chase features double entries from Rebecca Menzies and Mick Hammond, both of whom tend to have plenty of runners at Kelso throughout the season. Swinton Diamond may be the pick for Mick Hammond, while Tanacando is worth a second look for trainer Tim Vaughan. The final race of the day, attracting 29 entries, is the P&G Allan Catering Handicap Hurdle. Slaney Craiglegacy is another winner from Kelso’s first Autmun meeting, losing her maiden tag at the 17th attempt. The mare is trained near Alnwick, in Northumberland, by Hugh Burns who is originally from East Lothian. Irish trainer John McConnell is also a qualified vet and he has close recent Clonmel runner-up, Montys Angel, earmarked for the race. The gates will for Kelso’s Sunday fixture at 12.30pm. The Border Principals Race is due off at 1.15pm and the first official race at 2.20pm; the final race at 5.25pm. The Racecourse will now be operating with only ONE ENCLOSURE, taking down barriers between paddock and members areas to create more space, better accessibility as well as a more friendly and welcoming environment for all. Early Bird Tickets will remain at the same price of £10 (£20 for Ladies day) however we only have 3000 available across the season so you better move quick, as once they're gone, they're gone! Advance tickets priced at £15 (£25 on ladies day) will be available to purchase up until 48 hours prior to the raceday. All tickets bought up until a week in advance of the raceday will now be posted out. Please note we will no longer be offering any concession tickets on the day, so make sure you buy early for our best price. 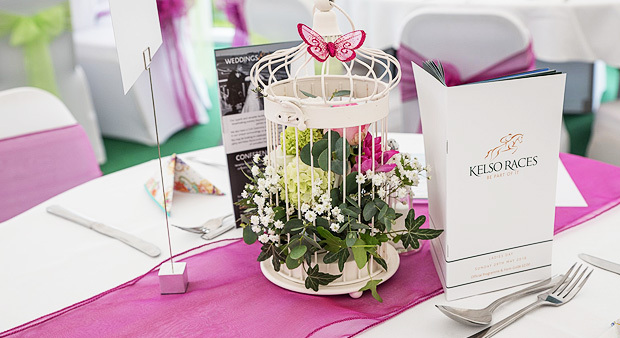 We look forward to welcoming you to Kelso Racecourse soon! Scottish Racing is delighted to announce a partnership with William Hill which sees the bookmaker open betting facilities on racecourses in Scotland. The on-course betting facilities at Ayr, Kelso, Hamilton Park, Musselburgh and Perth are to be operated by William Hill from Saturday 14th July, which coincides with Hamilton Park’s evening fixture that day, and is followed by racing at Perth on Sunday 15th and Ayr on Monday 16th. This agreement between Scottish Racing and William Hill follows on from the long-term sponsorship of the Ayr Gold Cup, the Scottish Sprint Cup at Musselburgh and previous sponsorship of Hamilton Park’s Braveheart Night. The penultimate fixture of the season takes place at Kelso on Wednesday, 9th May. The Borders jumps track traditionally takes a break during the Summer before recommencing racing in September. The first May meeting has been kind to punters in previous years and there were seven well-backed winners at this fixture in 2017, including four winning favourites. The first race gets off at 2.00pm with the Principal & Prosper Novices’ Hurdle Race. James Ewart, hopes to make a flying start with Calix Delafayette, who romped home over a shorter trip at Kelso on April 16. The Kelso Handicap Hurdle Race promises to be quite a hot race. Nicky Richards is entering Top Billing, who is dropping back in trip, with Graystown stepping up in distance for Stuart Coltherd. James Ewart is pencilling in Ascot De Bruyere, who gave Brian Harding his final winner when scoring at Kelso last March. Selkirk trainer Stuart Coltherd has put his Grand National runner Captain Redbeard out to grass for the summer and he expects to be represented by Achill Road Boy in the fourth race, The Bedmax Handicap Steeple Chase, following on from his win at Carlisle in late March. Wicked Spice reverts to fences for Nicky Richards after a couple of spins over hurdles. The Scotty Brand Handicap Steeple Chase, over an extended two-mile trip, was won in impressive style last year by Irish trainer Gavin Cromwell with King’s Wharf, who is now in the Lambden yard of Sandy Thomson. He could attempt to go for back to back wins. In the final race of the day, James Ewart intends to enter both Cellar Vie and Marocchino from his Langholm yard while Nicky Richards is looking at the race for Glinger Flame who carries the colours of former Carlisle racecourse chairman James Westoll and was an encouraging third on his debut at Newcastle in November. There’ll be a quick turnaround at Kelso Racecourse, following Saturday’s high profile fixture, as the Borders track hosts Buccleuch Cup Day on Monday 16th April. The first race, The Duncan and Margaret Sinclair Memorial Novices’ Hurdle Race, is off at 2.10pm. Lucinda Russell holds a strong hand with three entries including Chasseur do Tete, Le Frank and Prince Dundee. Next on the card is The Tarrag Naegel Ltd Handicap Hurdle Race in which Russell’s Hail Us In could make a quick reappearance, having won at Kelso on Saturday. She also trains Jump For Dough, who runs in the colours of the Low Flyers Syndicate, a group of annual members at the racecourse. Oscar O'Scar is an intended runner in The Border Carers Centre Handicap Steeple Chase for Middleham trainer Micky Hammond, who also had a winner at Kelso's richest-ever fixture last Saturday. Micky said: "We're keen to run him as he's been entered at loads of meetings that have been abandoned for various reasons. He's been placed over hurdles at Kelso and won a race over fences at the track about this time two years ago." Chanceiton, trained by Lucinda Russell and owned by her father Peter, has point to point wins at Alnwick and Corbridge to his name this term. Whisperdale is trained by Stuart Coltherd's wife Lesley and made all to score at Alnwick on Easter Monday. Inclement weather didn’t dissuade the crowds from flocking to Kelso on Saturday, from where ITV were broadcasting live coverage of the richest ever programme of races at the Borders track. A crowd of more than three and half thousand racegoers gathered for the meeting which boasted £166,000 in prize money. The going was officially heavy, although rain throughout the afternoon eased the ground to make is less holding. The valuable races attracted runners from far and wide, but that didn’t prevent a 28/1 victory for the home team in the totescoop6 Handicap Hurdle. Keyboard Gangster, trained in Hawick by Donald Whillans and ridden by his son Callum Whillans, got home by three-quarters of a length and a head from Reverant Cust and Taxmeifyoucan. A further local win came when Haul Us In justified favouritism in the Belhaven Best Handicap Hurdle for Hawick jockey Blair Campbell and trainer Lucinda Russell. The prestigious Totepool Premier Hurdle Race-day at Kelso Racecourse has been rescheduled for Sunday 11th March. The original programme, which attracted high class entries including the Nigel Twiston-Davies trained Bristol de Mai, was abandoned following heavy snowfall ahead of last weekend. The addition of a further handicap hurdle to the programme means that there will now be seven races instead of six. Paul Johnson, Head of Racing at the BHA, said: "With Scotland and the far north of England suffering disproportionately from abandonments this season, we have taken the unusual step of adding in an additional third Sunday fixture onto 11th March in order to ensure that the race programme continues to cater for horses which may have missed recent engagements due to the poor weather. "With the help of Kelso and the Levy Board we are pleased to also have been able to take the opportunity to reschedule the two feature races from the original card and expect them to offer a Sunday highlight this week." The Totepool Premier Chase has been increasingly used as a springboard to Aintree and the original entry attracted both of Scotland’s Grand National hopes: the Sandy Thompson trained Seeyouatmidnight and Stuart Coltherd’s Captain Redbeard. They would face stiff opposition from the Nigel Twiston-Davies trained Bristol De Mai, who ran away with the Betfair Chase earlier in the season and who is being prepared for a tilt at the Grade 1 Aintree Bowl. Paul Nicholls could be represented by Warriors Tale and dual Scottish National winner Vicente. The Totepool Premier Hurdle has been won in the past by useful sorts such as Glingerburn, Le Prezien, Mount Mews and Clever Cookie - who subsequently developed into a Group horse on the Flat. Kevin Ryan's Beyond The Clouds, unbeaten in all three hurdle starts, was one of those in the original line-up with winning Kelso form, having scored at the Borders track in October. The seven race programme, which boasts more than £103,000 in prize money, is set to get underway shortly after 2.00pm (exact race times to be confirmed), with the gates opening at 12.15pm and first race at 2.10pm. For further information: Contact Kelso Racecourse, 01573 221221. CYRUS DARIUS gained an emotional success in the Timeform Morebattle Hurdle to supply Ruth Jefferson with her first ever winner as a trainer, having taken over the licence following the death of her father Malcolm earlier this month. Brian Hughes, successful earlier on aboard Taxmeifyoucan, was always confident on the 5/2 chance who slammed Better Getalong by twelve lengths to win the prestigious event for the second year in a row. Big River saw off Shantou Flyer in pleasing style to land the Ivan Straker Memorial Chase by four and a half lengths in the hands of Derek Fox. Winning trainer Lucinda Russell said: “He loves it round here as that’s five wins from six visits. He’s in the RSA Chase at Cheltenham but I’m not sure if that’s the race for him; he could wait for the valuable novice chase at Uttoxeter soon after. Sir Jack Yeats looks to be Festival-bound, following his victory by the narrowest of margins, in the Office Bar Hawick Hunters’ Steeplechase. Ridden by James King, the seven year old gelding just got up to beat Cultram Abbey and looks capable of featuring prominently in the Foxhunters Steeplechase at Cheltenham. Sean Bowen made the long journey from Wales worthwhile, by scoring on Ron’s Dream in the Mares Novices Steeplechase. Meanwhile local jockeys were to the fore with winners for the Jedburgh born Callum Bewley, aboard Mac N Cheese in the Brewin Dolphin Handicap Hurdle, and Callum Whillans from Hawick aboard Dali Mail in the final event of the day. Entries for one of Kelso’s most prestigious races, the Timeform Morebattle Hurdle, to be staged on Thursday 15th February, will close on Friday 9th February. The £25,000 feature race is one of three races on the valuable programme regularly used as stepping stones towards next month’s Cheltenham Festival. A recognised trial for the Champion Hurdle, the Timeform Morebattle Hurdle is run over a distance of two miles and two furlongs, often attracting a small but very high quality field of runners. The roll of honour includes some of the sport’s most popular performers including: Large Action, Direct Route, Peddlers Cross and Simonsig, not to mention the Gordon Richards’ trained Jinxy Jack who scored four times between 1990 and 1993. Last year’s renewal was won by Cyrus Darius, saddled by Malcolm Jefferson who sadly passed away earlier this month. The Norton based trainer will be greatly missed by everyone associated with the sport of horseracing and his passing will add a poignancy to proceedings at this year’s meeting. Nicky Richards, who has won the race twice in the last five years, hopes to run Better Getalong, a highly regarded young hurdler who has been placed at Cheltenham in Grade 2 company already this season. He carries the colours of David Wesley Yates, an owner best known for his association with spring-heeled grey Monet's Garden who happened to win a bumper at Kelso during his formative years. The main supporting race, also with a prize fund of £25,000, is the Ivan Straker Memorial Steeple Chase, run over a distance just short of three miles. Last year’s winner, Saphir Du Rheu, went on to finish a very creditable fifth in the Cheltenham Gold Cup and is due to make his seasonal reappearance at Kelso before heading back to Cheltenham once more. The Paul Nicholls trained chaser could be joined by Tea For Two, the horse that gave Lizzie Kelly her first Grade 1 winner as a jockey. Tea For Two has been placed in the last two renewals of the King George VI Chase and is another seeking glory at the Festival. Lucinda Russell intends to run Big River, a real course specialist with his five previous course trips yielding four wins and a second. He's owned by Two Black Labs so look out for his distinctive colours featuring the silhouette of a dog on the front and paw prints on the sleeves and cap! The John Wade Group Hunterchase, the sixth of seven races on the card, usually features at least one or two horses seeking to qualify for the Foxhunter’s Steeplechase at Cheltenham. Last year’s race was won by Charles Levinson's Premier Portrait who upset the 1/8 favourite Black Thunder by a short head. Potential entries include Winged Crusader, runner-up to impressive Festival-bound Wonderful Charm at Musselburgh last Sunday and the Nicky Richards' trained Cultram Abbey. Gates will open at 11.25am, with the first of seven races getting underway two hours later at 1.25pm. For further information about racing at Kelso: Jonathan Garratt, 07771 660114. The thaw has arrived just in time for the Burns Pudding Race Meeting at Kelso on Thursday 25th January. The meeting is new to Kelso’s fixture list and was introduced as an additional contingency against adverse weather during the Winter. Inevitably, given the date, the course intends to serve haggis, tatties and a whisky sauce to owners and trainers who declare horses to run on the day. That’s likely to include Donald McCain whose two daughters have both ridden winners at the track. His eldest, Abbie, has been pencilled in for the mount on Craig Star in the first race of the day, The Amateur Jockeys Association Handicap Hurdle. Lucinda Russell has four entries in the race, including Alizee De Janeiro who is owned by Deborah Thomson, one of the Two Golf Widows responsible for Grand National hero One For Arthur. Many racegoers will be toasting the Ayrshire Bard with a glass of Isle of Skye Scotch Blended Whisky, sponsors of the second race on the programme. Anteros, who ran in Grade 2 company at Cheltenham on New Years Day, could be a rare Kelso runner for Devon-based Sophie Leech. Keith Dalgleish has entered Niceandeasy as he bids to improve his already impressive strike-rate at the Borders venue. Callum Bewley is riding out of his skin at the moment and he has been booked by Galashiels trainer Katie Scott for November course and distance scorer Chain Of Beacons in the Persimmon Homes Handicap Chase. Meanwhile Daryl Jacob, who has a 40 per cent strike-rate at the course, is down to ride Uno Valoroso, a course and distance winner for trainer Mark Walford. The fourth race on the card, the P&G Allan Novices Steeplechase, is the target for Very First Time who carries the famous Trevor Hemmings colours. He already has a BHA rating of 135 after chase wins at Hexham and Newcastle. Meanwhile, Fly Rory Fly changed hands for £25,000 in the autumn and is well regarded by his new trainer Nick Alexander. Selkirk handler Stuart Coltherd will be looking for Budarri to build on his debut effort, where he finished a 66/1 third at Perth in September, when he tackles the Persimmon Homes Novices Hurdle. Rose Dobbin, a regular in the Kelso winners' enclosure this season, is represented by Le Gavroche who is co-owned by French-born restaurateur Albert Roux and named after the first restaurant in the UK to gain three Michelin stars. The final race of the afternoon is the Racing UK National Hunt Flat Race, sponsored to promote the dedicated racing channel which is offering an opportunity for racing fans to subscribe free for a month. Drenek, one of five James Ewart entries, was denied a debut run at Ayr recent due to a vaccination irregularity and he is reportedly a nice type owned by former Carlisle racecourse chairman James Westoll. While punters will surely flock to the races armed with their prized selections, they might remember these words by the Ploughman Poet: “The best laid schemes o’ mice an’ men gang aft agley.” Good luck! Mirsaale, trained by Keith Dalgleish and ridden by Callum Bewley, sprung a 33/1 upset in one of the feature races at Kelso on Sunday. The Carluke raider, who finished ninth in the 2013 Derby, came late on the scene on the stands side to pip Katgary by a neck in the £25,000 Kristoffersen Carpets & Flooring Handicap Hurdle. Bewley said: "That's my second win on him and he has a bit of class. He's got pretty decent jumps form and he kept finding for me when I brought him wide up the run-in." Bright Prospect, trained by Jackie Stephen, won the Jimmy Logan’s 100th Birthday Handicap Chase by a neck. While on a day of close finishes, the James Ewart trained Un Guet Apens also got home by a neck, in the £25,000 Children’s Immunology Trust Handicap Chase. Permit holder Andrew Hamilton is a near neighbour to Dalgleish and he saddled his first winner under Rules when Letemgo took the Persimmon Homes Handicap Hurdle in the hands of amateur rider Bruce Lynn. Hamilton said: "I've only few horses in training as it's only a bit of fun. We're more into show jumping and the teaching side of things. This was a cheap horse as we picked him up for just £800 at the May Sales." While 4/6 favourite Coole Hall was a popular winner of the first race, there were also plenty of cheers for the third home Behindthelines. The Lucinda Russell trained gelding is running on behalf of the Doddie Foundation this season. All prize money won by Behindthelines will help to combat Motor Neurone Disease. Tom George has an excellent strike-rate at the borders track and his Clondaw Castle proved to be the widest margin winner of the day when taking the D G Pryde Developments Novices' Hurdle. The 11/10 favourite beat Aye Right by four lengths to give Ciaran Gethings his first success at Kelso. "That was a pretty good performance and he's a lovely prospect." The quality card concluded with the Eildon Hill Stables Open Hunterchase, won in good style by former Scottish Grand National hero, Alco. The next fixture at Kelso Racecourse takes place on Thursday 25th January. 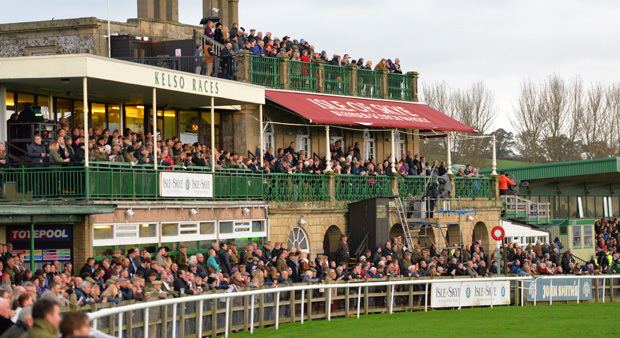 Following a chilly December, the team at Kelso Racecourse are raring to go. Declarations for the seven-race programme scheduled for Sunday 14th January, Kelso’s first fixture of 2018, will be drawn from a bumper entry of more than 150 potential runners. Local trainers including Harriet Graham, James Ewart, Stuart Coltherd, Alison Hamilton and Pauline Robson are likely to be well represented following the loss of several National Hunt fixtures during the recent cold snap. Prize money exceeding £87,000 is likely to draw a number of travellers from southern stables including Tom George, Warren Greatrex and Paul Nicholls, while northern stalwarts such as Nicky Richards and Donald McCain are also expected to be highly competitive. The first race on the card is the Persimmon Homes EBF National Hunt Novices Hurdle and trainer Rose Dobbin will be keen to win the race for her father, Duncan Davison. Coole Hall, one of several entries made by Dobbin, was a winner at Newcastle last time and at Kelso back in the autumn. Meanwhile, winning point-to-pointer and bumper horse Truckers Lodge would be an interesting jumps debutant for Gloucestershire trainer Tom George, who has a 50 per cent strike-rate at Kelso. Last year the bookmakers cleaned up in the second race, the D.G. Pryde Developments Novices Hurdle, when the prize was scooped by an unfancied 66/1 outsider - Seemorelights trained by Sandy Thomson. Aye Right, trained at Harriet Graham and owned by Kelso director Geoff Adam, has winning bumper form and may make his hurdles bow in this race. The Kristoffersen Carpets and Flooring Handicap Hurdle is the first of two races on the card with a purse of £25,000. A correspondingly strong field of entries will result in a competitive race but the better ground is likely to suit the Pauline Robson trained Martila, a winner at Ayr in November, who by-passed a valuable opportunity at Musselburgh recently. Morning With Ivan, a mare trained in Northumberland by Susan Corbett, is a fascinating entry - since returning from time off to have a foal she has won both starts at Newcastle and Market Rasen. Bernardelli won the feature race last year, the Children’s Immunology Trust Handicap Steeplechase, for Nicky Richards and the bang-in-form Greystoke trainer is keen to keep hold of the prize as he has also pencilled in recent Doncaster runner-up Takingrisks. Nick Alexander is triple-handed in the fifth race on the card with popular horses such Gold Opera, Jet Master and Lake View Lad. The Kinneston trainer will face stiff opposition from Donald McCain, whose horses have been in flying form. McCain’s recent Bangor scorer Tailor Tom would be an interesting runner. McCain could also hold the key to the sixth race, the Celebrating Jimmy Logan’s 100th Birthday Handicap Steeplechase. Lough Derg Jewel is locally owned so Donald McCain may be tempted to let him take his chance in a hat-trick attempt. James Ewart’s Ueueteotl also has plenty of placed form at Kelso. The final race on the card is the first hunter chase of the new season at Kelso. A high-class collection of entries includes Al Co, the 2014 Scottish National hero and the Paul Nicholls pair: Unioniste and Vivaldi Collonges. Both Nicholls entries are previous course winners at the borders venue and are likely to use this race as a spring board to the festivals at Cheltenham and Aintree, later in the Spring. Despite losing last year's festive fixture, due to frost and snow, the management team at Kelso Racecourse have one million, two hundred thousand reasons to remain cheerful in 2018. The total annual prize fund at Kelso Racecourse is scheduled to exceed £1.2 million in 2018, an increase of more than 26% compared to the prize fund designated for 2017. While the Borders track is scheduled to stage fifteen race-meetings in 2018, one more than 2017, the average value of the 98 individual races is set to increase by more than 20% from just over £10,000 to £12,200.